Singer Pixie-Plus does have its limitations. But it is still a good choice if you just do some quick mending and crafting. 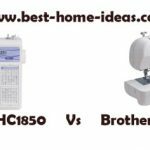 If you like a sewing machine that is small and portable, this is something you must consider. 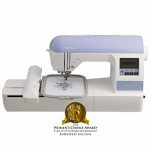 It is basically a mini sewing and crafting machine. It has some nice features for the price. 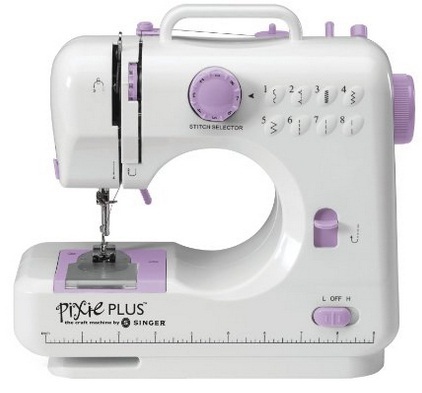 You can select stitches on Singer Pixie-Plus using the stitch selector dial. It has pull down reverse and high/low speed selector. You can use this on AC and batteries. You will get a foot pedal as well. It has a top loading drop-in bobbin. First of all, use on batteries adds a lot to the portability. Seriously, this little sewing machine doesn’t look like a toy at all, even though its price may suggest so. 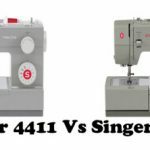 To me Singer Pixie-Plus felt like a miniature version of those $150 machines from Singer and Brother. It can be handy for kids who want to start out on their basic sewing lessons. My daughter learned sewing on this machine, she was into it straightaway, no worries. It has a very good motor inside, but it is slightly loud though. The stitches on this machine are fairly even and consistent even on thick fabrics. Picking up the bobbin thread takes some getting used to. 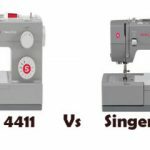 Overall, Singer Pixie-Plus is a good machine for doing small crafts and some quick mending. It does have some good features for the price. 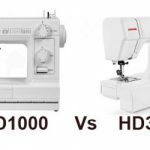 Yes, this sewing machine has some limitations but you can’t expect a mini sewing machine to sew pair of pants or something. Don’t expect this little machine to do everything that your $150 machine does.